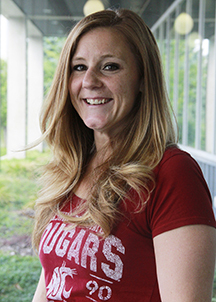 Dr. Mel Haberman is a Professor of Nursing at Washington State University College of Nursing. He has served as a faculty member at the University of Washington, Seattle Pacific University, and Washington State University, and as an Assistant Staff Scientist at the Fred Hutchinson Cancer Research Center. He was the first Director of Nursing Research at the Fred Hutchinson Cancer Research Center and first Director of Research for the Oncology Nursing Society. 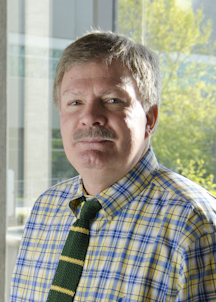 He has served as the Associate Dean for Research at the WSU College of Nursing, Associate Director of the WSU Cancer Prevention and Research Center/Chronic Illness Research Center, Acting Director of the Institute of Systems Medicine, Human Tissue Biorepository, and first grant chairperson of the Eastern Washington Affiliate of Susan G. Komen for the Cure®. He is a retired Lieutenant Colonel in the U.S. Army Nurse Corp. He was inducted as a Fellow of the American Academy of Nursing in 1995. In 2018 he was named the Waldron O. and Janet S. Distinguished Professor in Geriatrics. His research focuses on the health-related quality of life of cancer survivors. Oncology, cancer survivorship, health-related quality of life, demands of illness, alternative therapies for cancer, mixed methods research designs, geriatrics. Haberman, M. & Bush, N., (2012). Quality of Life: Methodological and Measurement Issues. In, C. King & P. Hinds (Eds). Quality of Life from Nursing and Patient Perspectives: Theory, Research and Practice (3nd ed., pp. 167-195). Boston: Jones & Bartlett. Banasik, J., Williams, H., Haberman, M., Blank, S., & Bendel, R. (2010). Effect of Iyengar yoga practice on fatigue and diurnal salivary cortisol concentration in breast cancer survivors. J. Amer Acad Nurs Pract, 23(3), 135-142. Fletcher, K.A., Lewis, F.M., & Haberman, M.R. (2009). Cancer-related concerns of spouses of women with breast cancer. Psycho Oncology, 19, 1094-1101. Murfin, S. and Haberman, M. (2007). Building the ship of death: Part I. Explore: The Journal of Science & Healing, 3 (6), 619-622. Murfin, S. and Haberman, M. (2008). Building the ship of death: Part II. Explore: The Journal of Science & Healing, 4 (1), 70-73. Haberman, M. (2007). Nursing Research in Blood Cell and Marrow Transplantation. In, S. Ezzone and K. Schmit-Pokorny (Eds), Blood Cell and Marrow Transplantation: Principles, Practice and Nursing Insights (3nd ed., pp. 479-490). Sudbury, MA: Jones & Bartlett. Blank, S., Kittel, J., & Haberman, M. (2005). Active practice of Iyengar yoga as an intervention for breast cancer survivors. International J. of Yoga Therapy, (13), 51-59. Bush N.E., Donaldson G.W., Moinpour C., Haberman M., Milliken D., Markle V., & Lauson J., (2005). Development, feasibility and compliance of a web-based system for very frequent QOL and symptom home self-assessment after hematopoietic stem cell transplantation. Quality of Life Research, 14, 77-93.